Z1028 is our most popular general purpose FFKM compound due to its relative low cost and broad range of chemical and temperature resistance. Used as a cost effective alternative to 6375, 4079 and 7075 in countless applications across various industries like Petro-Chem, Paint and Ink applications where resistance to harsh solvents is required. 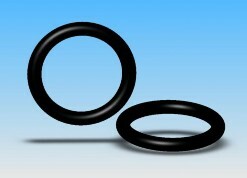 Available in o-rings and custom shapes. Our experienced application engineers welcome the opportunity to assist you in selecting the compound that provides the best value for your application. *Markez Z1028 provides excellent chemical compatibility with most chemicals, including Amines below 70° C. For hot amines over 70o C, use Markez Z1352 compound. Markez Z1028 shows good compatibility with hot acids with minor physical property changes. 80° C for 70 hrs. 125° C for 168 hrs. 60° C for 336 hrs. 100° C for 336 hrs. 220° C for 168 hrs. 23° C for 70 hrs. 125° C for 70 hrs. 175° C for 720 hrs. The peroxide curing system used to cross-link the Markez Z1028 compound gives it superior resistance to hot water and steam below 500° F.
© 1998-2019 Marco Rubber & Plastics, LLC - allorings.com All rights reserved.